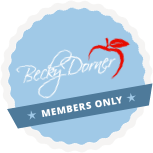 Anemia - Becky Dorner & Associates, Inc. 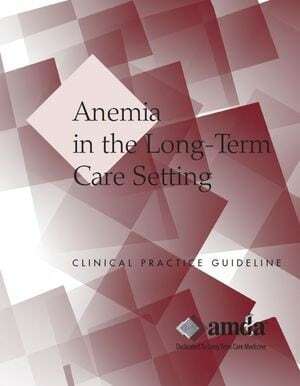 The AMDA Anemia Clinical Practice Guideline outlines information that will allow clinicians, including RDNs to evaluate causes of and determine interventions for all forms of anemia. Anemia is a condition of low hemoglobin concentration caused by decreased production, increased loss, or destruction of red blood cells. Anemia is common in the long term care setting, with a prevalence ranging from 34.4 percent to 60 percent. Causes of anemia include blood loss, increased red-cell destruction, decreased red-cell production, and decreased erythropoietin production. Identify the causes of different types of anemia. Recognize the diagnostic criteria for different types of anemia. Understand treatment options for different types of anemia. 8.1.3 Integrates knowledge of macronutrients and micronutrients for absorption, digestion and metabolism throughout the life span in practice. 8.1.4 Demonstrates knowledge of nutrient requirements throughout the life span and their role in health promotion and disease management. 10.2.8 Establishes the plan of care, directly addressing the nutrition diagnosis in collaboration with the patient in defining the time, frequency and duration of the intervention. Note: Numerous other CDR Learning Needs Codes and Performance Indicators may apply.